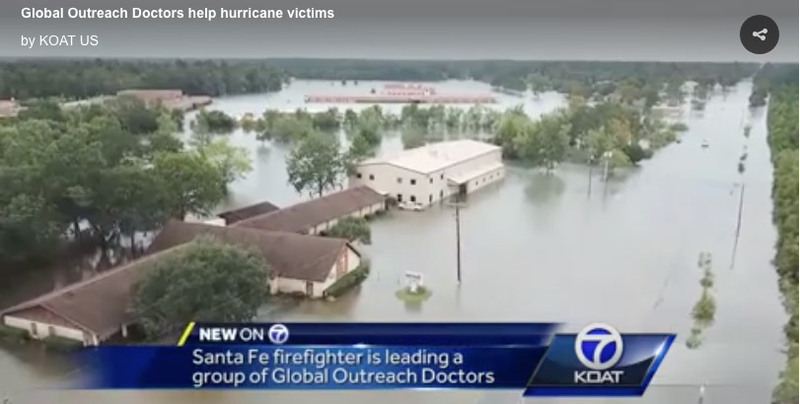 A Santa Fe firefighter is leading a group of medical professionals and military personnel to help in the aftermath of Hurricane Harvey. Tyler Jones, a Santa Fe Firefighter and ER nurse, is leading a group of medical professionals and military personnel to help people affected by Hurricane Harvey. Watch on KOAT 7 News. © 2018 Global Outreach Doctors.